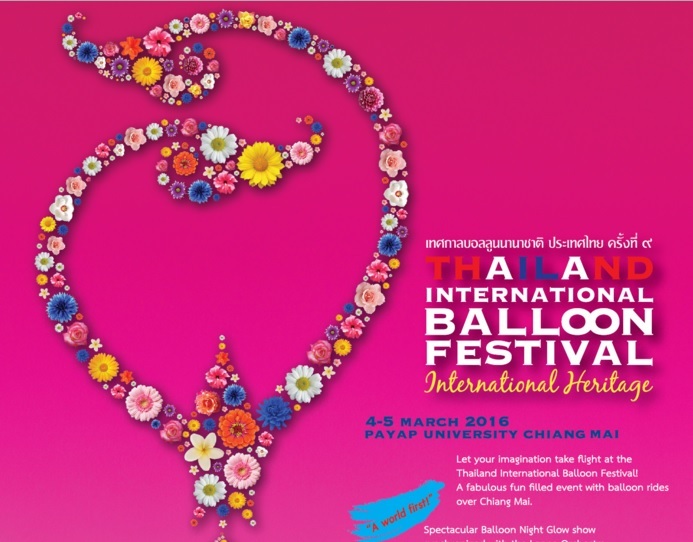 For those who are planning a trip to Chiang Mai, don't miss the opportunity to join the spectacular 9th Thailand International Balloon Festival, which will be held at Payap University during 4-5 March, 2016. The skies of Chiang Mai and its Lanna cultural heritages will be the magical backdrop for the fascinating balloon show from all over the world including from India, France, Switzerland, Sweden, Spain, Germany and many other countries. Highlights will include the night glow balloon shows with original music composed by by Ajarn Bringkop “Joe” Vora-urai and the Lanna Orchestra. This performance is said to be the first of its kind in the world where an inspiring and moving performance set to the beautiful sight of glowing balloons. 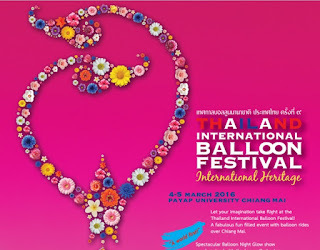 Other activities include the show of regular and special balloon shapes, balloon flight experiences, dance performances, concerts, activities for families, and the opportunities to savour delicious food from top hotels and restaurants in Chiang Mai. The event is organised by All About Art Co., Ltd. with the support from the Tourism Authority of Thailand (TAT) and Thailand Convention and Exhibition Bureau (TCEB).